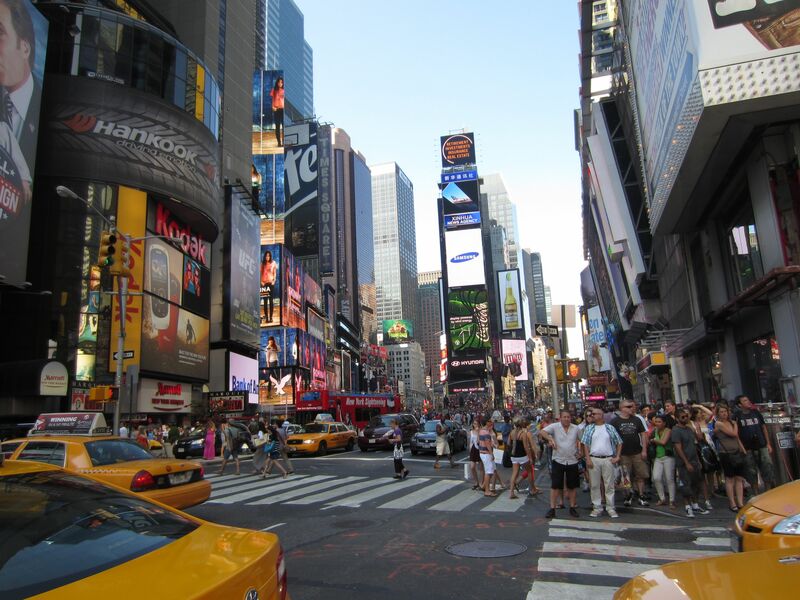 I was living the life in Times Square, fascinated and amazed by all the lights, sights and people. What a city! What a great photo. I know not everyone likes crowds but this picture reminds me of one of the reasons I love NY. Me too! It was like a huge overstimulating party! My entire experience in NYC was crazy. I love New York! I need to go back soon. Did you know that you are listed in the “Recommended Blogs” section of WordPress? I forgot to say you are in the Travel section. It was pointed out to me by another blogger. I was very chuffed to see my blog there and several that I follow. They do change them around a bit. You know, even though I’ve seen a million photos just like this one, Time Square never gets old!